SEATTLE (October 5, 2015)— The CARSTAR Puget Sound Business Group recently held its 10th Annual CARSTAR Charity Golf Tournament at The Golf Club at Newcastle in Newcastle, WA. This year’s event was a huge success, raising a total of $36,500, with all proceeds benefiting the Seattle Children’s Hospital. 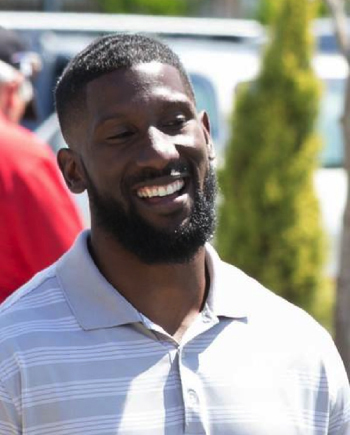 Marcus Trufant, former All-Pro cornerback for the Seattle Seahawks, was this year’s celebrity guest at the tournament. Trufant, who grew up in Washington, has a huge following in the area, which helped draw a lot of attention to this year’s tournament. As a father of four daughters and a newborn son, Trufant gave his all to help make the day a success. “Marcus was great,” said Rosanna Segers, Marketing Director for the CARSTAR Puget Sound Business Group. “He has a real heart for children. Marcus stayed at the Seattle Children’s Hospital hole and helped raise additional money for the charity by doing “Cheat for Charity” players were given a opportunity to have their picture made with him and to tee off 150 yards in front of the tee box for a donation. All of the 22 Puget Sound CARSTAR locations pitched in to help make the charity event a success. In addition to a great day of golf, prizes were given away through a charity raffle. The person who really stole the show, though, was Cassidy (pictured), who is 13 and wants to be an inspirational speaker when she gets older. Cassidy shared her story about how Seattle Children’s Hospital saved her life, and how she will still need to continue treatments. Donations are what make it possible for her to continue her dreams. Money was also raised through a silent auction, and there was even a donation pyramid that sold out at the tournament banquet. A full group of 144 golfers participated in the tournament.